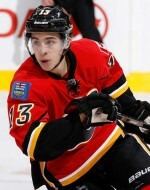 My introduction to the training world started because of my passion for the game of hockey. I grew up in West Chester, PA and played hockey for the Wlimington Typhoon for several years before eventually transitioning to the Junior Flyers. In middle school, I was always told that I was as skilled as anyone, but that I was too fat, slow, and generally unathletic to compete at a high level. That wasn’t exactly what they said, but that’s what they meant. When I was 14, I was fortunate to be “given a chance” by a coach that was ahead of his time on the training and power skating side of things. 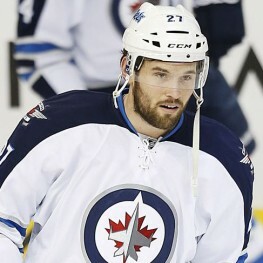 I completely overhauled my athleticism through a focused off-season of training and knew then that I wanted to make a career out of helping other hockey players to do the same. I also spent that Summer running power skating and skill development clinics, which not only helped my own skills, but also gave me an appreciation for how to break down skills to better teach them in group and individual settings. Since that experience, I’ve been incredibly passionate about athletic development in general, but more specifically about on- and off-ice hockey development. I consider myself a lifelong student, and am constantly look for more effective ways to train my athletes. I grew up as an under-sized and athletically unremarkable player, and I consider that a gift. As an underdog, you only have one way to compete, and that’s to outwork everyone, to prepare smarter. Whether you’re the best athlete or the worst athlete, I’d encourage you to adopt that same attitude. EVERY athlete can get better. I’ve dedicated my career to helping aspiring athletes fulfill their potential, and I’d like to help you do the same. Enjoy the site, and if you come across an article that you really like, post a comment beneath it and share it with your friends! Kevin Neeld is the Head Performance Coach for the Boston Bruins, where he oversees all aspects of designing and implementing the team’s performance training program, as well as monitoring the players’ performance, workload and recovery. 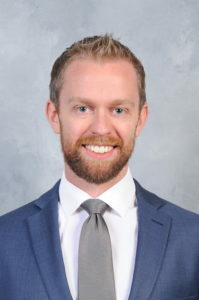 Prior to Boston, Kevin spent 2 years as an Assistant Strength and Conditioning Coach for the San Jose Sharks after serving as the director of a private sports performance facility in New Jersey for 7 years, working with pro, college, junior and elite level youth hockey players. He also served as a strength and conditioning coach with the U.S. Women’s Olympic Ice Hockey Team for 5 years. 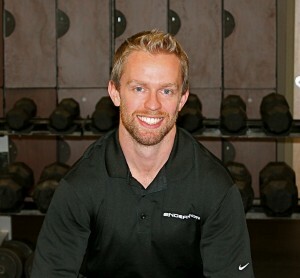 Neeld is a Certified Strength and Conditioning Specialist and Licensed Massage Therapist holding a Master’s degree in Kinesiology & Exercise Neuroscience from the University of Massachusetts Amherst, and a Bachelor’s degree in Health Behavior Science & Fitness Management with a minor in Strength and Conditioning from the University of Delaware. He’s currently a Doctoral candidate in Rocky Mountain University’s Human and Sport Performance program. In 2013, Kevin became one of only 9 professionals worldwide to earn the Postural Restoration Trained (PRT) credential from the Postural Restoration Institute. Kevin is sought after for his expertise in blending high performance training with injury prevention and post-rehabilitation work. At Endeavor, Kevin has trained athletes for improved performance while alleviating symptoms of a variety of injuries, including: shoulder labral tears, hip labral tears, shoulder impingement, hip impingement, sports hernias, groin pain, hip flexor strains, and low back pain. After completing a successful college hockey career at the University of Delaware (‘05-’06: MVP; ‘06-’07: Team Captain, Lifetime Achievement Award, 2nd Team All-American), Kevin served as the Assistant Coach of the University of Massachusetts-Amherst Women’s Ice Hockey Team and assisted with the implementation of the strength and conditioning program for the UMass-Amherst Men’s Ice Hockey Team. Kevin continues his work in ice hockey serving as a coach, educator, and program consultant in the sport. 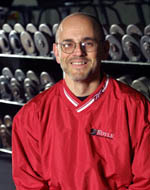 An accomplished author, Kevin has had articles published in Men’s Fitness and many of the top fitness and performance sites, including AskMen.com, StrengthCoach.com, T-Nation.com, EliteFTS.com, and SportsRehabExpert.com. He also wrote Chapter 3: The Real Reason You Can’t See Your Abs in the Men’s Health Big Book of Abs, and is the author of Ultimate Hockey Training, a comprehensive resource on long-term player development and year-round off-ice training methods. Additionally, he has served as an investigator and co-author on scholarly works published in Medicine and Science in Sports and Exercise, Research Quarterly for Exercise and Sport, Perceptual and Motor Skills, and The Journal of Physical Education, Recreation, and Dance. 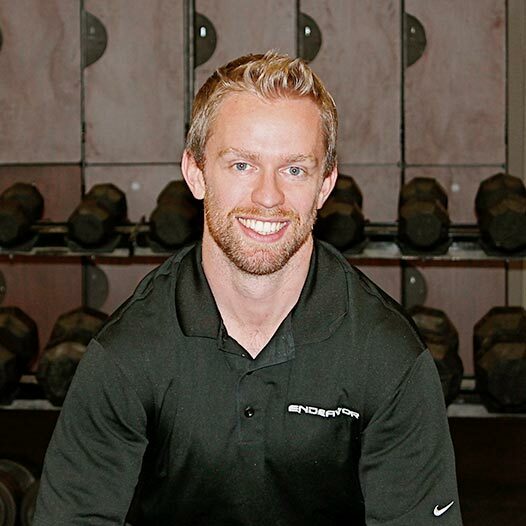 Kevin possesses the unique ability to combine his backgrounds in research, academia, and athletics to create highly effective programs for athletes and clients of all backgrounds. Specializing in ice hockey training, Kevin has helped guide athletes of all ages and abilities to optimal health and performance.